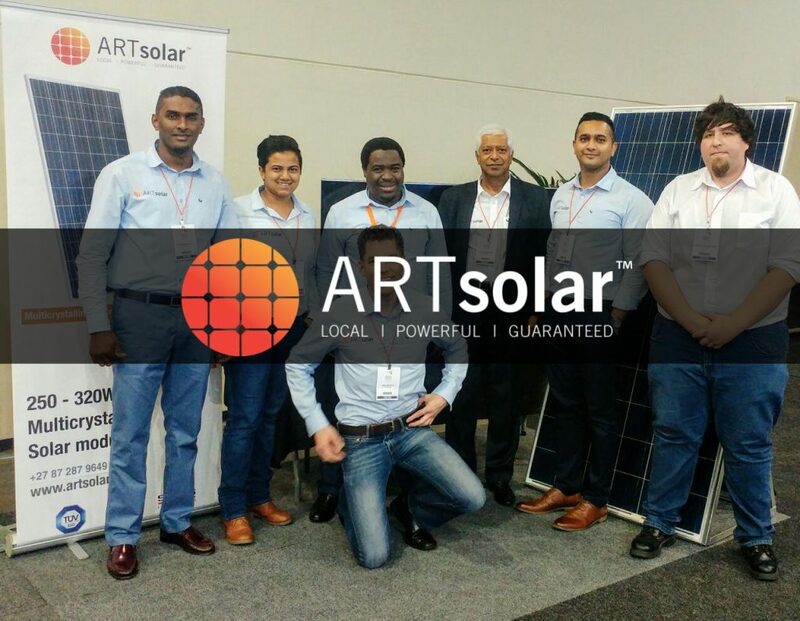 The ARTsolar team proved that you don’t need the biggest display to attract the most feet at the Africa Energy Indaba 2017 (21 – 22 February 2017). 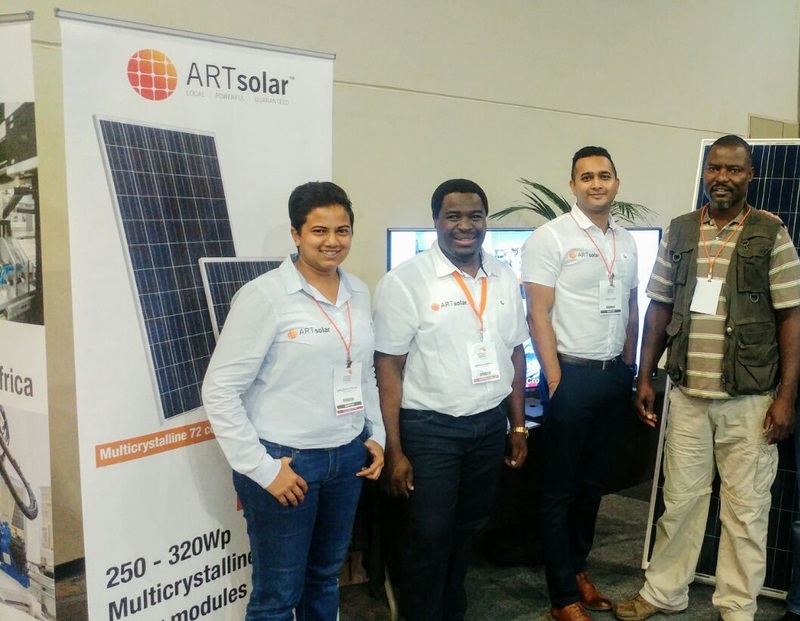 From morning until evening, across two days, the team made sure that everyone who left the expo at the end of their visit, knew the ARTsolar name. ARTsolar team with a proud new owner of locally produced solar panels. Potential clients were so impressed with the ARTsolar method, they placed orders right on the spot.